Yesterday, we posted about an article published at the Financial Times (FT) alleging that Hamas had dropped its call for Israel’s destruction. We noted that whilst the Islamist terror group’s new policy document announced on May 1st did suggest they’d agree to an interim Palestinian state along 67 lines, the FT article obfuscated the fact that the text also made clear the group nonetheless rejects “any alternative to the…complete liberation of Palestine, from the river to the sea”. Also omitted from the FT article is the even more important context: that the new document wasn’t designed to replace the objectives in the group’s founding charter – the 1988 document which explicitly calls for the murder of Jews and Israel’s annihilation. However, later in the day, Reuters published an article providing more evidence attesting to the fallacy of the FT claim. The piece, “Leading Hamas official says no softened stance towards Israel”, quotes one of Hamas’s most senior officials, Mahmoud al-Zahar, clarifying that the new policy document is not meant to contradict its founding charter. Here are the relevant excerpts from the Reuters report. 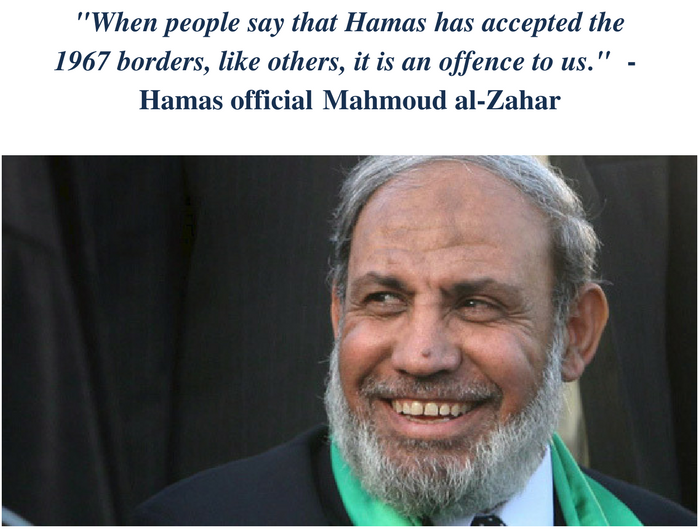 “When people say that Hamas has accepted the 1967 borders, like others, it is an offence to us,” he said. “We have reaffirmed the unchanging constant principles that we do not recognize Israel; we do not recognize the land occupied in 1948 as belonging to Israel and we do not recognize that the people who came here (Jews) own this land. “Therefore, there is no contradiction between what we said in the document and the pledge we have made to God in our (original) charter,” Zahar added. It’s actually quite astonishing that a leading news outlet like FT is willing to parrot propaganda on Hamas’s putative move to the centre so clearly at odds with the truth that not even the group’s top officials are sticking to the talking points. 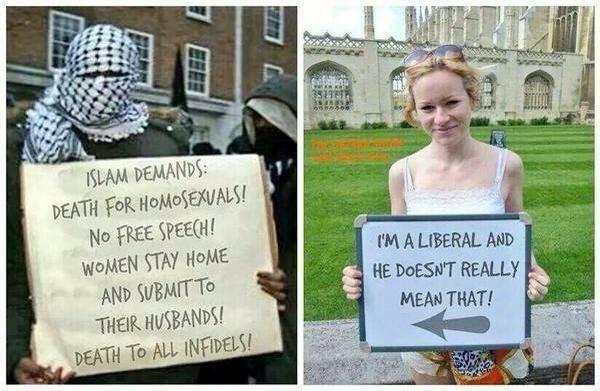 You are not a liberal, darling: you are a thick anti-liberal reactionary idiot. FT stopped being a leading anything ages ago: it is a cageliner that parrots anti-Israel and anti-Brexit propaganda. Europe had a moment of clarity at the end of WWII. That clarity is long gone and forgotten. To think that Hamas has changed its stripes reminds one of Chamberlain holding a piece of paper and declaring “peace in our time.” It beggars belief that these people don’t ever seem to ‘get it’.